Alabama is a state located in the southeastern region of the United States of America. It is bordered by Tennessee to the north, Georgia to the east, Florida and the Gulf of Mexico to the south, and Mississippi to the west. Alabama is unofficially nicknamed the Yellowhammer State, after the state bird. 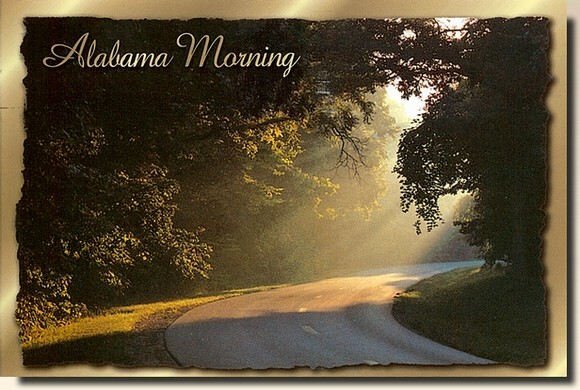 Alabama is also known as the "Heart of Dixie". The state tree is the Longleaf Pine, the state flower is the Camellia. The capital of Alabama is Montgomery. The largest city by population is Birmingham. The largest city by total land area is Huntsville. The oldest city is Mobile, founded by French colonists.